It is now possible to use BusinessObjects Cloud (BOC) to explore and analyze Hybris Marketing Cloud data. This blog describes the necessary steps to connect BOC to Hybris Marketing Cloud. The IdP user needs to be authorized for both applications. The IdP is not used as proxy for a corporate IdP. Compared to the on-premise integration, which was described in this blog, no additional reverse proxy is required to access the remote system. It is completely integrated in the HCP application. To use it, BOC must be accessed via the AppRouter URL which follows the pattern https://<tenant_name>.<zone>.sapbusinessobjects.cloud/sap/fpa/ui/tenants/<tenant_no> . 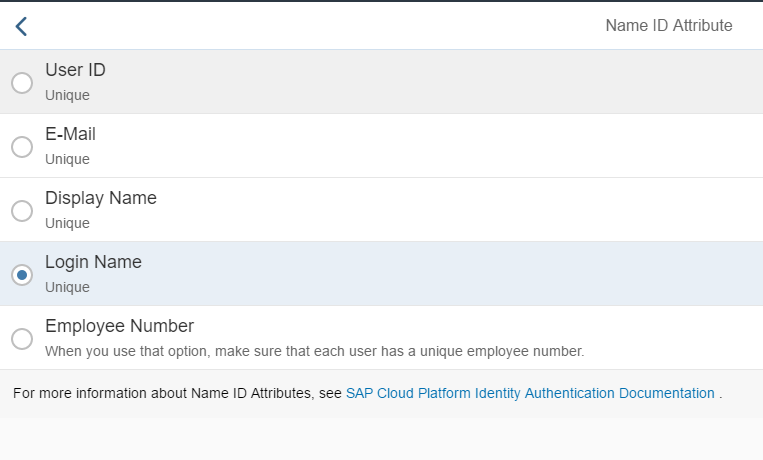 Open the Administration Console of your SAP Cloud Identity system. Goto “Tenant Settings”, “SAML 2.0 Configuration” and download the IdP’s metadata file. Start the BOC application in a separate window as administrator. From the menu, select “System” -> “Administration” and switch to tab “Security”. Klick on the pencil symbol to edit the settings. In the next section, in step one download the BOC metadata.xml file. In the next step, upload the metadata.xml file that you have previously downloaded from the IdP (not BOC one!). 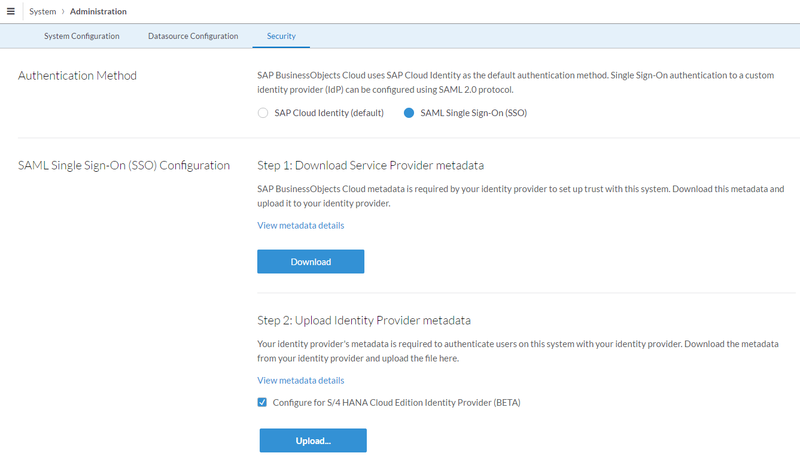 Select the Checkbox “Configure for S/4HANA Cloud Edition Identity Provider (BETA)”. 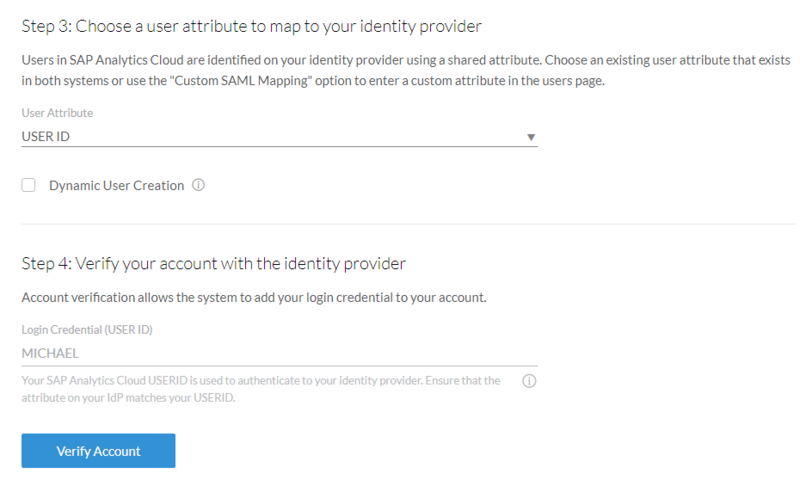 In the third step, select “Custom SAML User Mapping”. Return back to the IdP and open “Applications”. Add a new application for BOC. Choose “SAML 2.0 Configuration” on the tab “Trust”. In the section “Define from Metadata” upload the metadata.xml file, which you downloaded from BOC. Return to the “Trust” tab. Choose the entry “Name ID Attribute” and change the setting to “Login Name”. Now it’s time to verify that all settings are correct. In the fourth step in BOC provide the login name of your Hybris Marketing Cloud user and click on Verify account. From the popup, copy the URL, open it in another browser session and logon via the IdP. You should get logged on with the SAML_VERIFY user. Return to the security settings page, where you now should get a message that your account has been verified. Click on Convert and confirm the message in the popup. After some minutes, your BOC tenant is connected to the S/4HANA’s IdP. The SAML user mapping for your user that carried out the conversion has already been changed. The SAML user mapping of all existing BOC users need to be adjusted manually to the new IdP. First, ensure that you have created all users in the IdP. After that, navigate to “Security –> Users”. In the column SAML User Mapping enter the IdP Login Names for all other users. Save the changes. In the BOC menu, navigate to “Connection” and press the plus icon to add a new connection. From the menu, choose “Live Data Connection” à “S/4HANA (BETA)”. 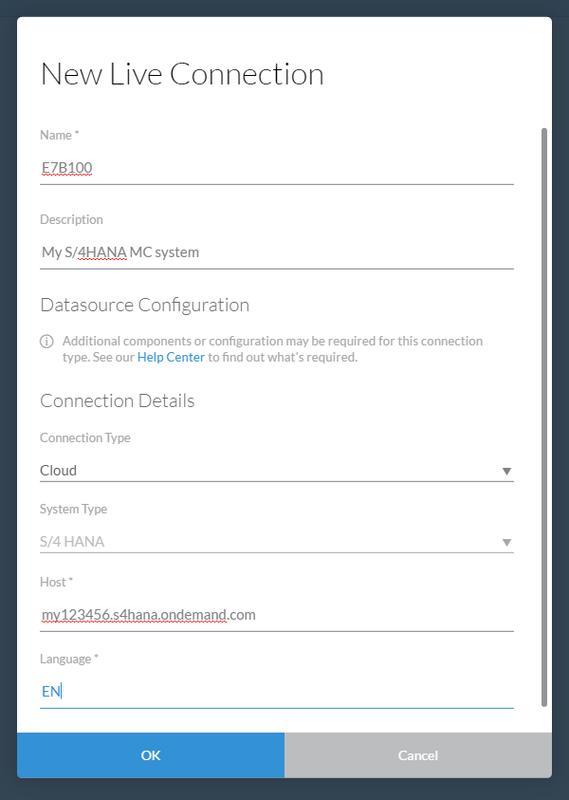 In the dialog, enter a connection name and description, choose connection type “Cloud” with system type “S/4HANA”. In the host field, enter your Hybris Marketing Cloud system name (e.g. my123456.s4hana.ondemand.com). Choose a connection language (e.g. EN) and confirm with OK. In the Modeler, you can now start creating models on the Hybris Marketing Cloud’s CDS views. 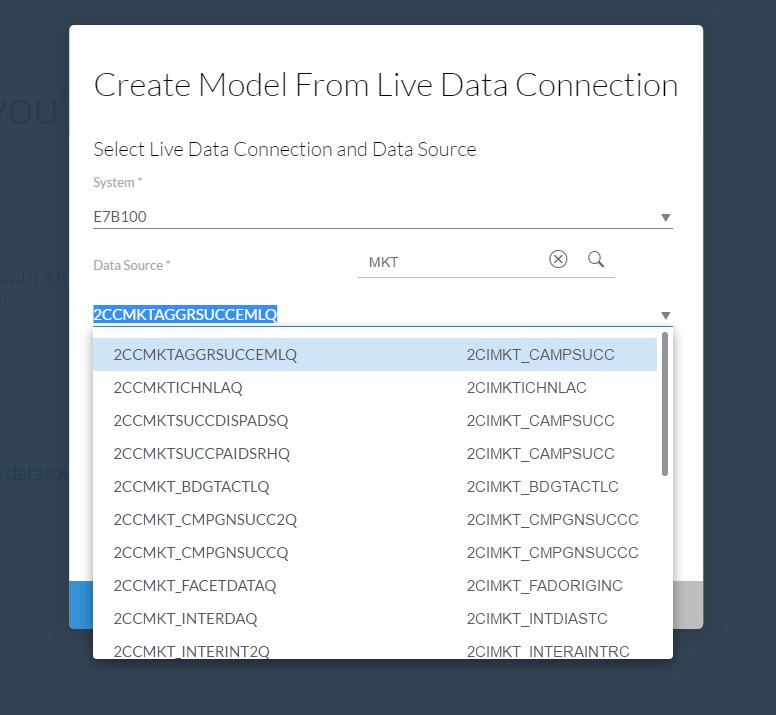 Create a new model, choose “Use a datasource” à “Live Data connection”. In the dialog, select your system ID. You can either search for data sources or choose the relevant query from the dropdown. You can retrieve the corresponding query name from the query browser application in Hybris Marketing Cloud. Assign a name and a description to the model and confirm with OK. Based on this model you can start building a story. 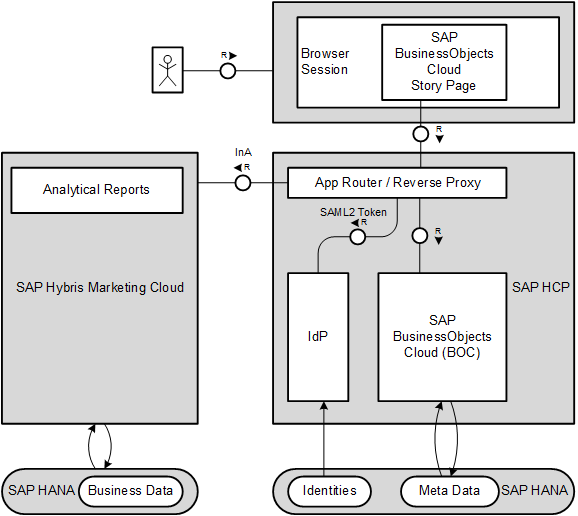 Enjoy analyzing Hybris Marketing Cloud data in BusinessObjects Cloud! First aid: If anything goes wrong during the setup, empty the cache and try again. This is great to be able to use BOC for S4MarketingCloud now! Is the BOC functionality dependent on the S4 Marketing release? No, it works from the current release (1611) on. 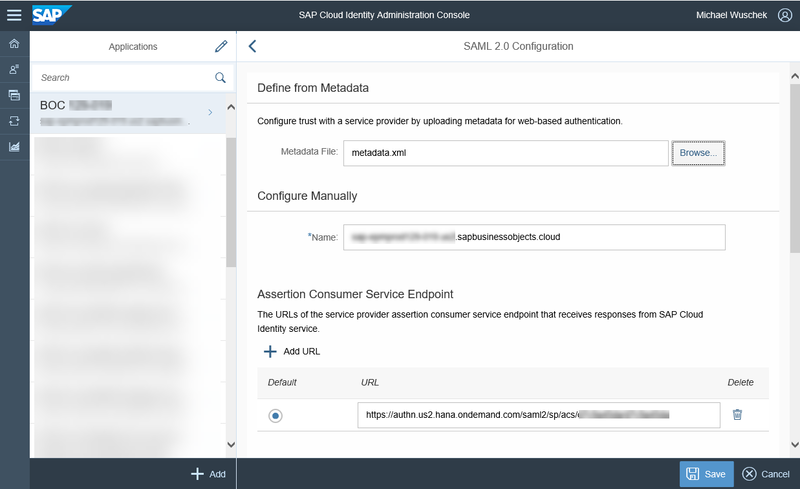 Instead of SAP Cloud Identify, is it possible to use external Identity provider other than SCI? Currently SCI is the only option.